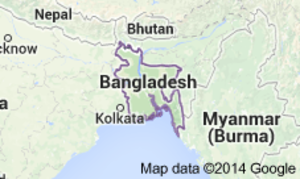 Bangladesh is a country of 155 mission people located north-east of India. 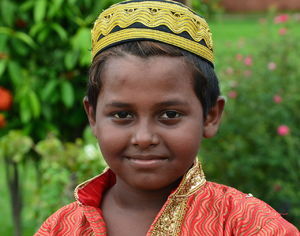 Bangladesh is predominantly Muslim (80%). In Bangladesh (according to Save an Orphan): "approximately 4.9 million children between the ages of 5-14 work, often very long hours in hazardous conditions on very low wages. Orphans and street children in Bangladesh often are thrown in jail for petty crimes, or they are abused and subjected to the most atrocious violence; the majority of orphanages are overcrowded and do not have the capacity to take in these children, therefore they are forced to rummage through landfills for food and plastics to sell. The orphan situation is serious. Bangladesh is the most populated country per density in the world. There are over 12 million people in Dhaka – one of the worlds largest cities. The country has over 155 million people with over half of the population being under the age of 15. A huge proportion of these children are orphaned without at least 1 parent, this means that they have to work to earn money to support themselves and their families. The population is also constantly on the rise with more than 3 million births per year, and the average life expectancy is 67 years. Poverty is also rife with the majority of people living on less than $1 per day, with the majority of these relying on agriculture to support their families. In Bangladesh more than 170,000 children under the age of 5 die each year from malnutrition, disease and poverty. That is the equivalent of a child dying every 3 minutes of treatable causes. The literacy rate in Bangladesh is 47.9% of the population and most children will leave school by the age of 8. Right before the August 2013 conference, the Bangladesh Without Orphans team was established--consisting of leaders from different denominations.